The club has embarked on an entirely new and exciting form of member communication. The Air-Cooled Advertiser has been replaced by Open Roads – the new Hudson Champlain Region Blog. I hope that you will enjoy this more contemporary, colorful, timely and mobile compatible form of communication. The blog format allows the club to deliver articles and photos of events, members and cars in a much more immediate timeframe, as well as make them accessible in a more interesting and interactive form. You will be able to access the blog from any web-enabled device, much the same way you would any mobile compatible website. Monthly, you will receive an email blast containing a link to the blog to remind you to check out new information and photos on recent track, autocross, Drive & Dine and social events. Just click on the link and you are there. But also remember that you can bookmark that link, as the blog is always available, and will have photos and information added on a continual/rolling basis. Our new Communications Director, Gary Richards has worked long and hard writing what is essentially a 2015 year-in-review. Gary has many great ideas for how to make Open Roads a standout among region newsletters/magazines/blogs nationwide, but he would like your help. Whether you have story ideas, can help write an article, or have interesting photos from an HCP, Zone 1, or PCA event, please lend a hand. Our club continues to grow and evolve. This new blog is just one example of the club changing to better serve you. We average about five new members a month and total membership is now over 610. The club is here for you. The more you get involved the more you can benefit. Come try autocross or one of our driver education (DE) track events to see what your car is really capable of in a safe and controlled environment. Enjoy a dinner out at our monthly dinner meetings. Explore our region on one of our Drive & Dines, or kick back and get to know other Hudson Champlain Region members at one of our many social events or annual Weekend Get-a-Way. Finally, as my two-year term as Region President comes to an end, I want to thank you. Serving as your president has been a pleasure. I have had a fantastic board who’s work has made my job easy. They have been engaged, enthusiastic, well prepared and hard working. Club members have been involved and helpful and we have seen new records set in attendance at club events. Jim Morgan, President. Chris Klapper, Vice President. Will Waldron, Treasurer. Lydia Marlow, Secretary and Ken Blass, Past President. It is your cub and I encourage you to get involved. I wish you and your family a very safe and Happy Holidays. Either pull your battery and store it in a warm place for the winter or use a trickle charger which will keep the battery charged to the optimal level. Don’t use a standard battery charger. If you use a trickle charger, make sure your storage space is well ventilated to prevent explosion of the hydrogen gas generated by the battery while it is charging. If possible, put your car on blocks or stands to elevate the tires off the ground to prevent flat spots that can develop as the car sits in one position for an extended period of time. Otherwise, over-inflating your tires can help- some posts recommend up to 50 PSI. Check your tire manufacturer’s recommendation for maximum tire pressure- that information should be on the tire. If possible, move your car a few feet now and then to change the section of tire that’s in contact with the ground. Start your car periodically? Most posts recommend doing so. Once a month should be enough. If you start your car, let it warm up thoroughly and run for a while to burn off any condensation that might be created. If your can is running, this might be a good time to move it the few feet mentioned above. Change your oil before you store the car for the winter rather than waiting until spring when the car returns to the road. Fuel stabilizers are not necessary if the car is only stored for the winter months. Porsche does not recommend them and some posts claim it upsets fuel chemistry. Virtually all posts recommend fully filling the gas tank before storage to prevent condensation. In the spring, run your car almost to empty and then fill with fresh fuel. A very small minority of posts suggest leaving little fuel in the car over the winter. These posts argue this small amount of fuel can be burned off quickly in the spring, allowing fresh fuel to be added sooner. Be aware of rodents that can chew wires and clog exhaust systems with nests. While no posts examined recommended dryer sheets, many car maintenance websites suggest placing dryer sheets throughout areas open to rodents. Steel wool can be used to block tail pipes. Check your insurance policy- some insurers provide “withdrawn from use” coverage. The car cannot be driven; but, it remains insured at a lower cost, providing an alternative to turning in the plates and re-registering the car in the spring. Again, these recommendations are taken from PCA posts. Any additional recommendations or comments on the above suggestions will be appreciated- just leave a reply. If you drive your car all winter, we’d love to hear about. Think about putting together a piece for the blog; or, just jot down a few notes and send them to the editor at gr.eastern@gmail.com. We’ll take it from there. Sharifa Perry, HCP charity chair and director of the Club’s Coats for Kids campaign presented seventy coats to the Capital City Rescue Mission’s executive director, Perry Jones, at the Mission’s Albany Headquarters on Tuesday, November 17th. The Coats for Kids campaign began in October with the placement of collection boxes and campaign posters in cooperating businesses throughout the Capital Region. 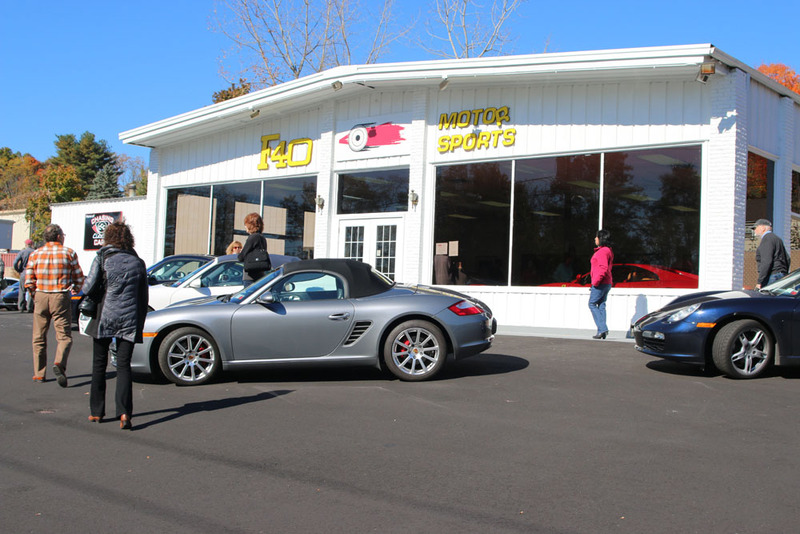 Businesses supporting the initiative included First Niagara Bank and the Club’s partners, New Country Porsche in Clifton Park, R&D Automotive in Albany and the Saratoga Auto Museum. Club members visited participating sites during the month to collect donations which included hats, scarves, and gloves as well as coats. The seventy coats collected was the most ever for a Club Coats for Kids drive. Executive Director Jones accepted the coats with gratitude; the need for coats is great, particularly with winter now approaching. Illustrating the demand, Mr. Jones said the Mission distributes up to ten thousand coats a year, primarily to low income families, immigrants in need and people who find themselves on the street. No questions are asked; coats are freely distributed to people who request them. Coats come to the Mission from coat drives, private donations and donations from merchants such as B. Lodge in Albany and the Burlington Coat Factory. The faith-based Mission was founded in 1949 by a group of Christian businessmen in Albany. It moved to its current location on South Pearl Street in 2000. Over the past fifteen years it has expanded to include a complex of buildings that house the numerous services the Mission provides. Some seven-hundred meals are served at the Mission each day and over three-thousand people a year receive free medical care at the Mission’s clinic. 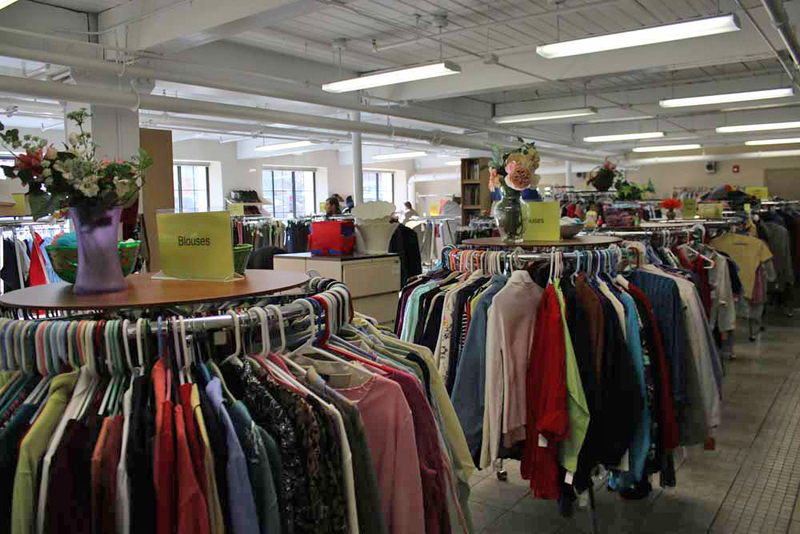 Coats included, the Mission distributes over 500,000 pieces of clothing a year. Gary Richards, who also represented the Club at the presentation, and Sharifa toured the Mission’s facilities after the coats were donated and photos taken. The tour made it clear that the Mission was a well-chosen recipient of the coats collected during this year’s HCP Coats for Kids campaign. Food, drink and socializing drew one-hundred and fourteen HCP members to the Excelsior Springs Ballroom in Saratoga Springs for the club’s annual fall dinner on the first weekend in November. The evening , a celebration of another successful Club year, gave members a chance to relive the year’s activities, recognize members whose contributions make the club go and take care of some important club business, including the announcement of next year’s executive officers. 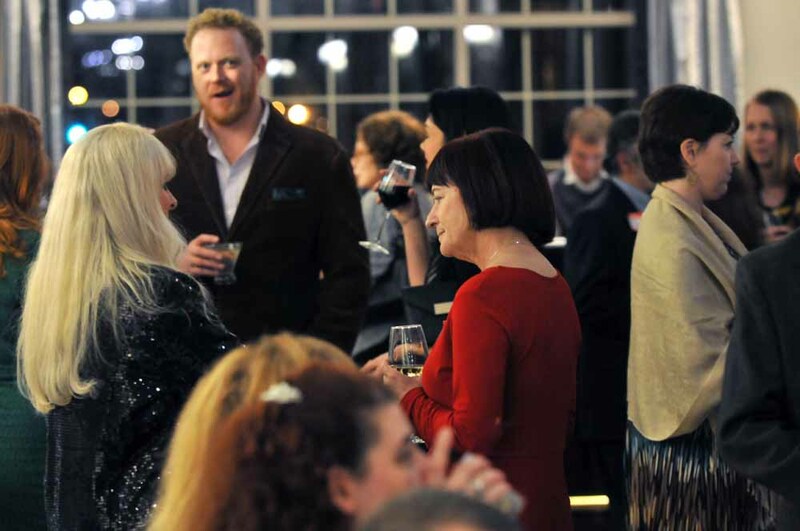 The evening began with drinks and conversation and the opportunity to browse nearly fifty items on display for a silent auction, the proceeds benefitting the Northeastern Association for the Blind at Albany. Gift baskets, fine wines, craft bourbons, Porsche paraphernalia, and a wide variety of gift certificates were among the items that produced fast and furious bidding and a good bit of socializing. As a result of the auction, HCP’s main charity event of the year, Charity Chair Sharifa Perry was able to present a check for $2,095 to the NABA. After introductory remarks from president Ken Blass and comments from Gail Hessney, NABA Senior Associate of Communications who attended a portion of the dinner, dinner was served and forks were raised. The evening’s business began during dessert. Sue Corah took members on a journey through the year’s social activities while Chris Klapper and Andy Dorman provided updates on the season’s track and driver education activities and Sharifa Perry described the Club’s fundraising efforts for the year. Some business was devoted to transitions. After two years of organizing great events as Activities Chair, Sue is stepping down, replaced by Louis Dahoda. Sharifa is leaving her position as well; the club is currently looking for someone to continue her very successful efforts as Charity Chair. Changes are also occurring on the executive board. Jim Morgan will replace Ken Blass as president and Chris Klapper will become the new vice-president, after winning a three-way race for the position in the recent election of officers. Lydia Marlow remains Club secretary and Will Waldron, who reported the Club remains on sound financial footing, will continue to serve as treasurer. This was also the time to honor those who volunteered their time and effort without which the club could not function. A deep thanks to Laura de Graffenried​, Kerri Morgan, Al Harper, Jeff Markussen​, Amanda Brinke​, Andy Dorman​, Bill Verburg​, Chip Corah​, Donna Ehmann​, Tom Ehmann​, Chris Klapper​, Linda Klapper​, Will Waldron​, and Matt Rutten​. Recognition should also be given to New Country Porsche​, Bavarian Rocket Science (R & D Automotive)​ Saratoga Automobile Museum, Xpel​, Stable Energies​, Harbor Hotel​, Lime Rock Park​ and Watkins Glen International- HCP business supporters for the year. My wife Judith and I are new members of the family -we purchased our Porsche about a year ago- a 2005 Boxster S. It wasn’t until this May, about a month after our car came out of its winter hibernation that I got around to playing with the car’s sound system. It was, at first, an exercise in frustration. For some reason, I couldn’t get the CD player to accept a disc. I was at the point of beating it into submission with a mallet when I discovered the cause of the problem- the previous owner left a disc in the player. I hit the eject button and the disc slid out- a recording of the Carmina Burana. Truly a surprise. I never imagined cruising in a Porsche listening to twenty-four medieval poems set to a modern score by Carl Orff in the 1930’s. OK, maybe the Carmina is the most frequently performed piece of classical music; this still struck me as a very interesting and perhaps unusual choice of tunes for driving with the top down in a Boxster… and, it got me wondering about what other music rides around in the CD players of club members. I’ll use my musings about music to introduce myself as the new communications director of the club. After a good bit of effort, our blog, Open Roads, is debuting on-line as both a blog and a monthly magazine. While it will feature club events and programs, I’d like to introduce some content that’s a little different and I hope entertaining- starting with a feature on driving tunes. Here’s my request: leave me a reply on our blog or email me the titles of your favorite driving music. What songs would you include on a list of great music for cruising in a Porsche? If you have a favorite CD [maybe the Carmina Burana? ], let me know. I’ll compile the results and put them in an article or a series of articles in future newsletters. To get things started, let me offer three of my favorites, drawn from the world of rock and roll: Running Down a Dream by Tom Petty, David Lindley’s Mercury Blues and I’ve Got a Line on You by Spirit. They’re in my drop box to share. If you’d like to check them out, let me know. Many of you have heard me say I volunteered to edit our publication because I wanted to give something back to a club that gives so much to us. If you feel the same way about the club and are looking for a way to contribute, consider lending a hand with Open Roads. I’ll send out emails now and then with ideas for stories; if any catch your fancy, hop on-board. To those members who have already offered me their support and some great content, I extend a deep thanks. What’s the common thread: Riding motorcycles on the Isle of Mann at 200 mph; climbing an Adirondack Mountain in a snowstorm; facing drawn police revolvers during a traffic stop and hunting down the best Earl Gray tea? Aside from what might be frustratingly dissimilar choices for an IQ test question, they’re all tales spun by HCP members. There are over 600 members in the club, all with stories to tell, and there’s no better place to hear them than at the Club’s annual weekend get-away. 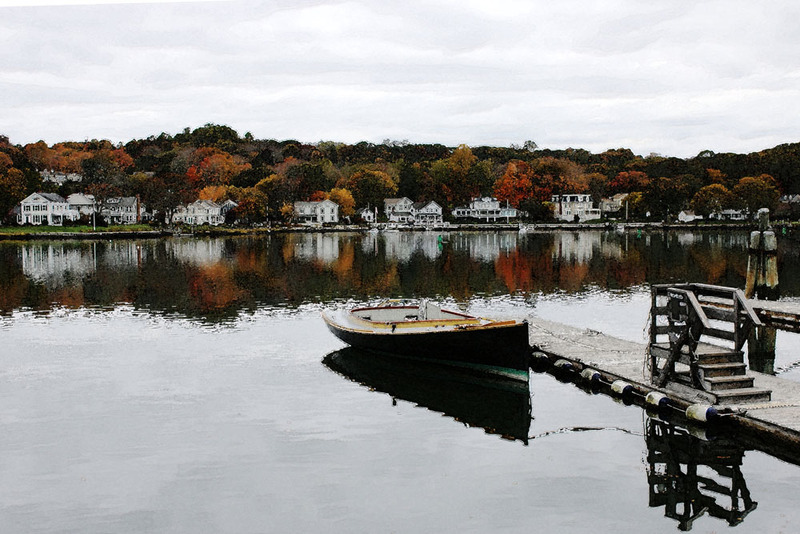 This October the Club traveled to Mystic Conn. with the Inn at Mystic, overlooking the Pequotsepos River and Mystic Harbor, serving as the base of operations. Steve and Julie Montano deserve medals for leading the drive. It was a daunting task keeping seventeen cars together- not so much on the route’s beautiful rural roads but in congested areas with numerous stop lights and heavy traffic. The group split and regrouped, split and regrouped. Still, at day’s end, no one was left astray in the Connecticut countryside- all seventeen cars were safely parked at the Inn. A lunch stop and a visit to F-40 Motorsports in Portland, CT helped keep the group together. F-40, a classic and exotic car dealership and restorer is the child of Wayne Carini, the star of the Discovery Channel’s Chasing Cars. Unfortunately, personal matters prevented Wayne from leading a tour of F-40; never-the-less, he graciously made an appearance at the restaurant where the Club ate lunch and spoke about F-40, Chasing Cars and his current restoration projects. It would have been a terrific tour with Wayne at the helm; still, it was impossible not to be awed by the cars housed in the F-40 garages and showroom: Ferraris of different stripes, a mint MGA, a ’38 Jag, a Chevelle SS, a vintage Rolls, and Paul Newman’s Volvo [his wife made him buy it]- mentioning just a few. Lauren Bacall and Humphrey Bogart once socialized in the rooms of the Haley mansion where the weekend kicked off on Friday evening with cocktails, dinner, and lively conversation [see opening sentence]. Built in 1904 by Catherine Haley, the orphaned daughter of a sea captain [the captain died after being hit by a train while crossing the railroad bridge that sits at the foot of the inn], the mansion is a stunning example of Colonial revival architecture. The Haley’s were a well established Mystic family with considerable resources; Catherine’s husband- and cousin, who died three years before she began construction of the mansion, amassed a fortune from his connection with the Fulton Fish Market in New York City. Catherine’s wealth evaporated when the market tanked in 1929- forcing the 1940 sale of the mansion to W. Frederick Mosel, an ad executive from New Jersey, for a mere $15,000. Mosel used the mansion less and less over the years, eventually selling it to the daughters of a neighbor who opened it to the public as the Inn at Mystic in 1981. The mansion hosts frequent formal events; Friday night club members dined on Filet Mignon, Swordfish and Roasted Chicken in a softly lit banquet tent attached to the house. 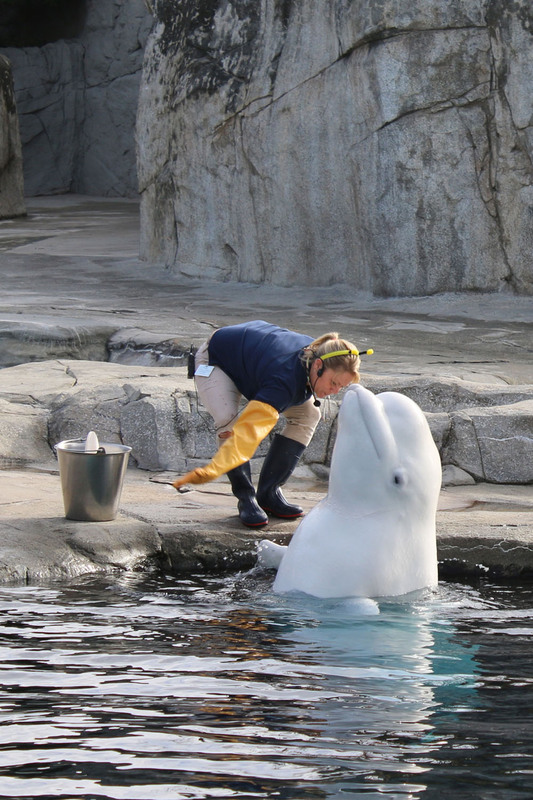 Saturday dawned cloudy and cool but the weather didn’t deter club members from visiting the Mystic Aquarium and it certainly didn’t faze the Beluga whales, the aquarium’s star performers. The totally engaging creatures swim gracefully in the aquarium’s whale “pool” which covers an acre and holds three quarters of a million gallons of artificial sea water. 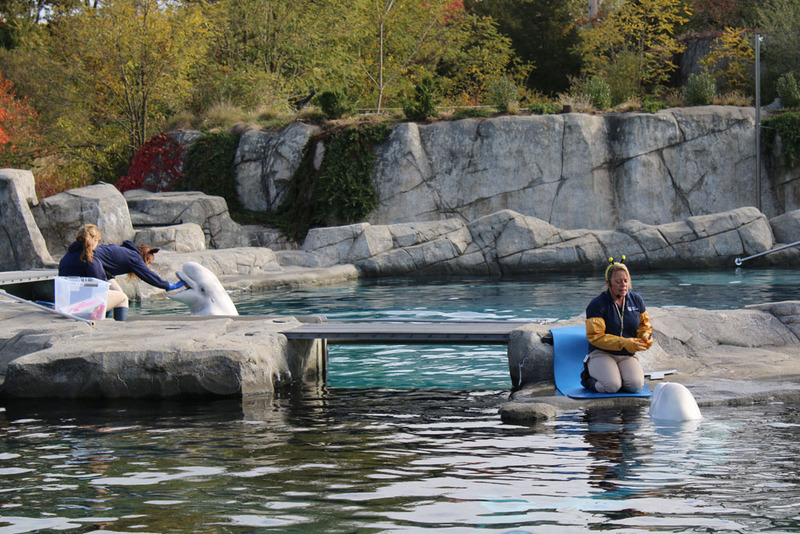 Catch the whales at feeding time and catch a whale waving to you with its fin- a trick that helps trainers assess the whale’s health. The reward for a job well done- a fish and a pat on the tongue. The aquarium’s stunning tanks, housing creatures from diverse biomes, are a testament to the work of the aquarium’s first director, Dr. Stephen Spotte, a leading authority on modern aquarium keeping. Outside the main gallery, paved paths curve past the Beluga pool, an African black-footed penguin enclosure, a New England pond and one of only three Steller sea lion habitats in the United States. The day wasn’t all about looking. Crabs in simulated tidal pools dared to be picked up and Manta Rays circled in an oval tank like dirt-track race cars, allowing themselves to be stroked on the back. Rays are very smooth [some might say slimy] and very cool. 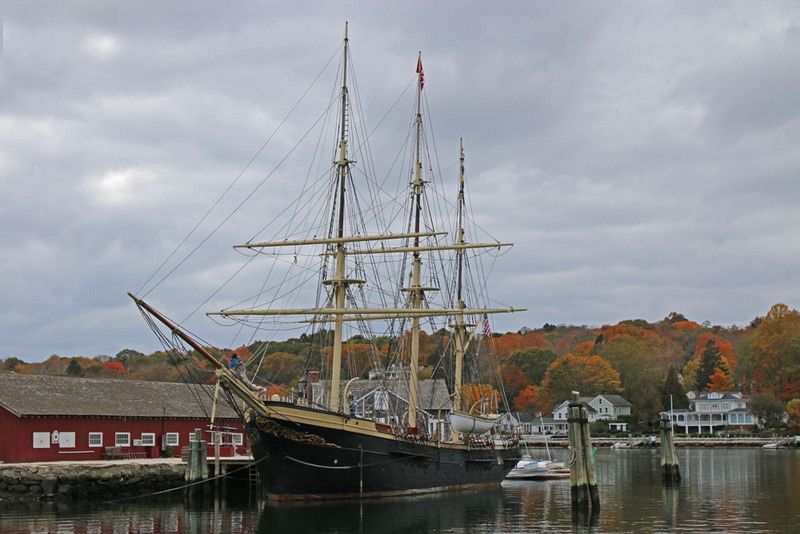 Saturday afternoon’s port of call was Mystic Seaport, an authentic recreation of an 1870’s seafaring village. 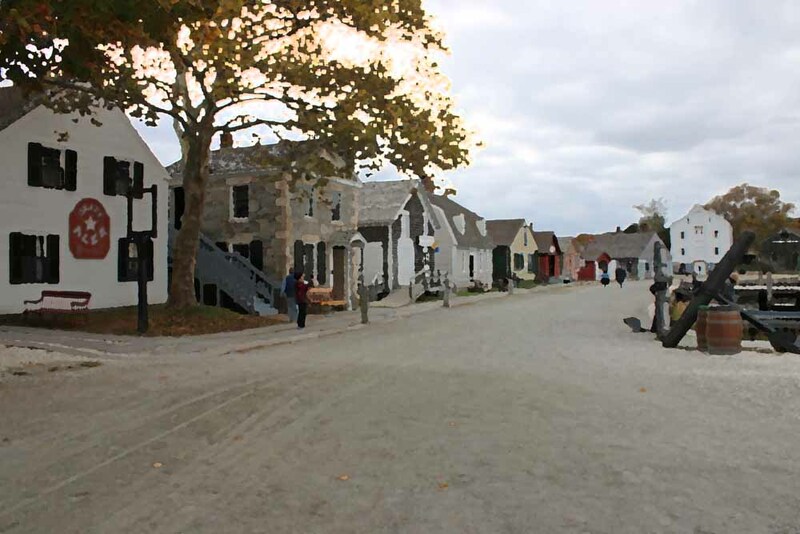 Club members were among the 400,000 who visit each year to stroll village streets lined with over sixty 19th century structures that were moved to the site from locations across New England. Historians, story tellers and craftspeople play the role of village inhabitants. It’s a working village. The bank no longer dispenses notes and the grocer no longer sells hearing aids that look like misshapen oil cans; but, the cooper still makes barrels, the smith hammers out ironwork and the printer still sets type for broadsides. What they create is used within the village. 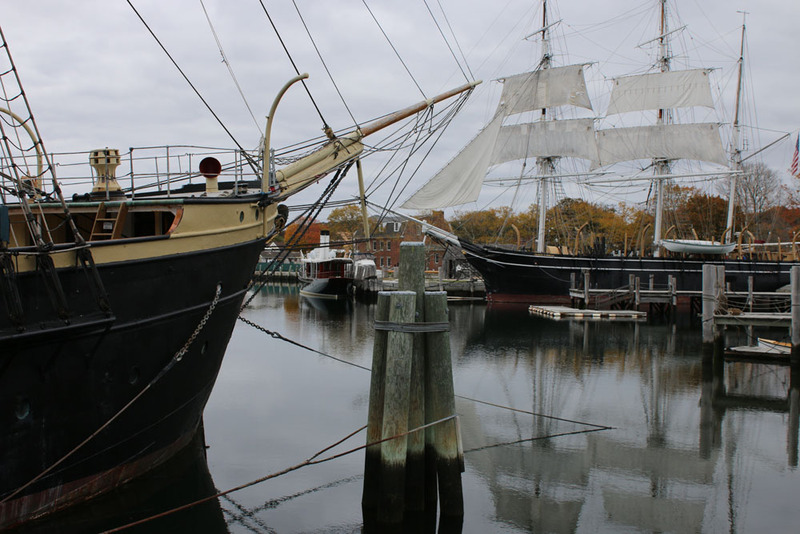 The jewel of Mystic is the Charles W. Morgan, the lone survivor of the 2,700 whaling ships that plied the seas hunting creatures that yielded the oils essential to 19th society. Rigged as a double topsail bark with over 7,000 feet of canvas, the Morgan was home for thirty-five tars on voyages lasting as long as three years. The Morgan last set out in search of the leviathan in 1927; it arrived at Mystic in 1941 where it sat docked, an artifact of a bye-gone era. Yet, such a ship deserves to be at sea and in 2009 the museum’s board voted to undertake the repairs necessary to send the ship on another voyage. Sails fully unfurled, the again sea-worthy Morgan set out its 38th voyage, a celebratory eight week visit to ports along the New England coast. The Charles W. Morgan is a majestic ship that conjures romantic visions of men who sought wealth on the unforgiving oceans of the world. Yet with the singing of the Beluga whales at Mystic Aquarium in your ears, thoughts turn bittersweet when gazing at the brick oven on the ship’s top deck that was used to melt whale blubber into oil. Whales are sentient and social beings. Upper estimates of the number of sperm whales alone killed during the nineteenth century approach a quarter of a million. Sunday morning. Some folks headed home. Those who remained made the short drive to the Submarine Force Museum and U.S.S. Nautilus in Groton. The museum is a fascinating mix of artifacts, models, submarine hardware and informational displays that tell the history of submarines. The Nautilus, the world’s first nuclear submarine sits moored in the Thames River, behind the museum. Now a national historic landmark, the Nautilus was commissioned in January, 1954 and made its first voyage a year later. The sub truly entered history when it became the first ship to cross the North Pole. Dubbed “Operation Sunshine”, the voyage took the sub under the polar icecap and another 1590 miles into the sea off the coast of Greenland. Visitors contemplating a tour of the ship encounter a sign suggesting those with claustrophobia might reconsider stepping on board. To be sure, quarters are tight. 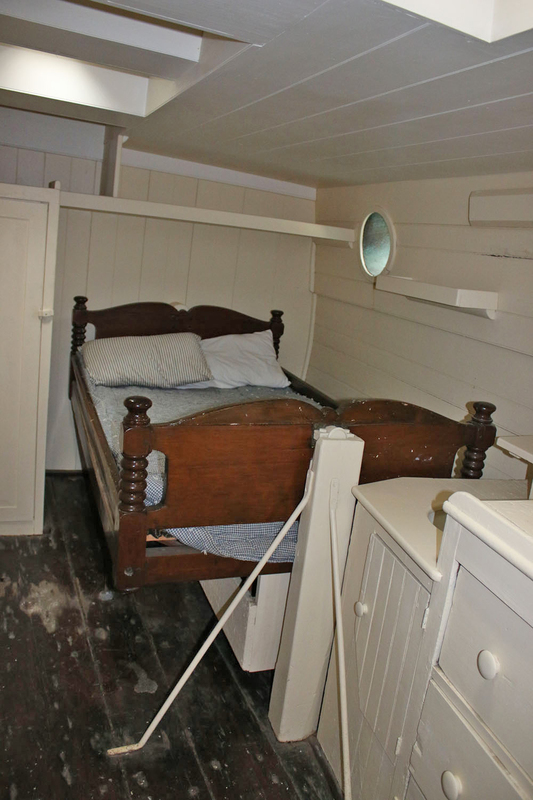 With refrigeration non-existent, sailors on the Charles W. Morgan subsisted on hard tack and dried meat. A far cry from the vittles on the Nautilus. It’s said sub crews enjoy the best food in the Navy. Fair compensation for the Nautilus’ crew that, at times, sailed deep beneath the surface in cramped quarters for ninety-six hours at a stretch. Leaving the museum, heading home and reflecting on a weekend packed with activity, it might be simplest to say it was three days of great activities- and a time for friendships celebrated and friendships made. Chris Klapper was right. You drove autocross and it was a hoot; still, you got thinking maybe you hadn’t fully explored your car’s limits- or your own. So you headed off to the track for a little DE. That got the blood flowing; but, somehow, you’re still looking for more- for that chance to take your driving skills to the next level and get that rush of adrenaline even DE couldn’t provide. Club Racing offers that rush. 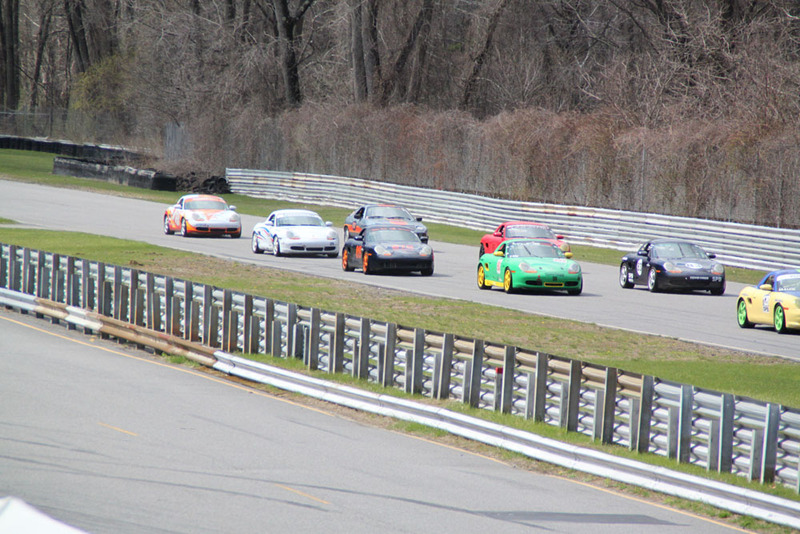 You’ll find the opportunity to plunge into Club Racing at a number of tracks in the northeast. At some point in the season races are run at Lime Rock Park, Watkins Glen International, Monticello, Canadian Tire Motorsports Park, New Jersey Motorsports Park and Summit Point Raceway in West Virginia. With the exception of races at Watkins Glen which are hosted by PCA Zone 1, races at each track are sponsored and staffed largely by a host PCA region. John H Shafer Class C 928, #661 on the Lime Rock downhill. At each event, several race classes are combined into a race group with three or four races being the norm. Race weekends usually begin with practice on Friday, with all race groups on the track together. There may also be qualifying and practice starts held later on Friday. Saturday’s, usually feature two thirty to forty-five minute sprint races for each group. On Sunday there may be a third sprint race; almost always there is an enduro of sixty to ninety minutes. Enduros require a pit stop, of at least five minutes, often taken near the middle of the race. 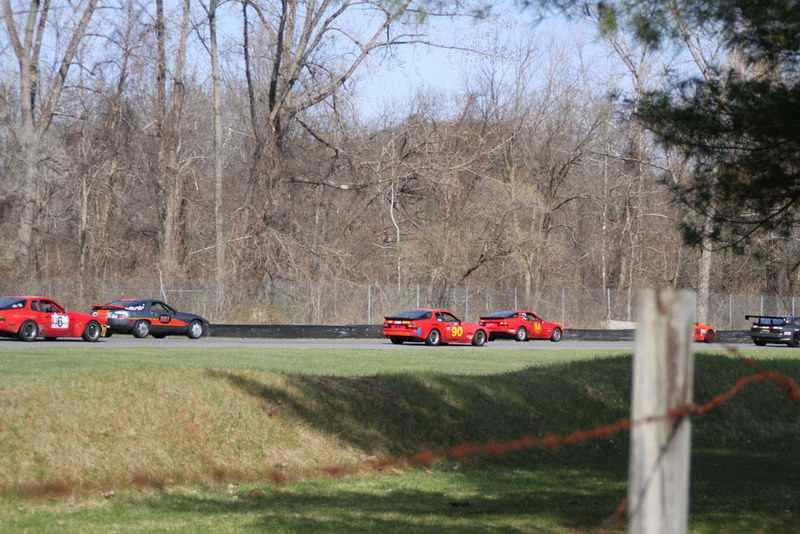 Cars start two abreast behind a pace car, their starting positions based on qualifying times. As with NASCAR, when the pace cars pulls into the pits and the green flag is waved, all systems are GO. Each car has a transponder that electronically records laps and lap times allowing the determination of winners in each class. The last sprint and the enduro are “points races” that accumulate for each car/driver toward the national championship. Any Porsche can be set up for racing; cars are placed in a class with cars of similar performance. Classes are generally defined by the number of pounds for each horsepower provided by the engine. They range from Class A which includes early 356’s, 911’s, 914’s and 924’s with lb./hp ratios between twenty-one and thirty-one to GTC5 with modern 997 Cup Cars, at the other end of the spectrum. Overall, more than twenty-nine classes are identified in the rules. The class that contains the 944’s is one of the more popular classes. In the broadest sense, cars fall into one of four categories based on the extent of modifications made to them. Cars that are street legal and have full road equipment are classified as stock ; Specially Prepared or SP classes allow some modifications. Cars, in the popular SP1 class are modified but are essentially stock. Cars designated SP2, or SP3 have additional modifications. Whatever the modifications, SP2 cars remain normally aspirated. Turbos are found in the SP3 class. Modifications can include changes to the brakes, suspension, exhaust system, tires and other components that relate to safety and speed. 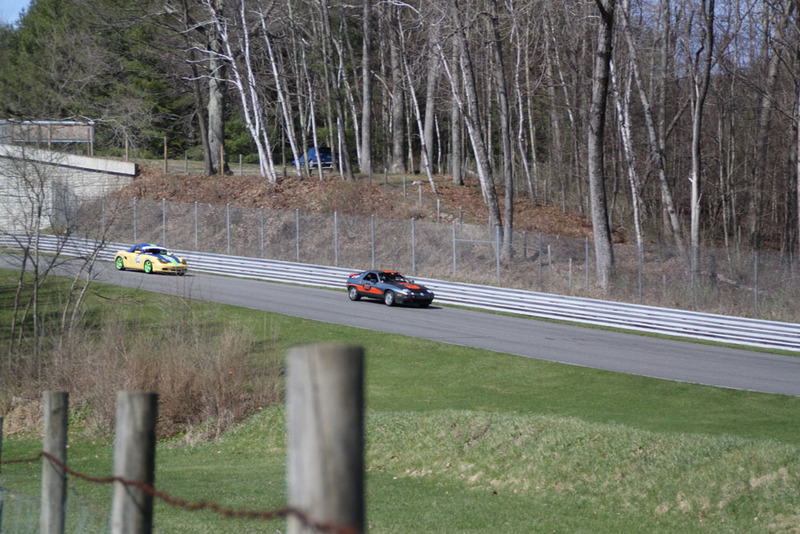 Chris Clapper, #84 Class SP1 and John Shafer, #6t1 Class C on Lime Rock front straight. For all classes, several safety devices are required. They include a full roll cage, a racing seat, a full five or six point harness, window netting, an electrical cut off switch and a fire extinguisher. Also, the driver must wear a helmet, a HANS device to reduce the possibility of head and neck injuries, a fireproof racing suit and shoes. The basic structure of Club Racing consists of a national PCA Club Racing Committee, the PCA National Office, and the regional organization. 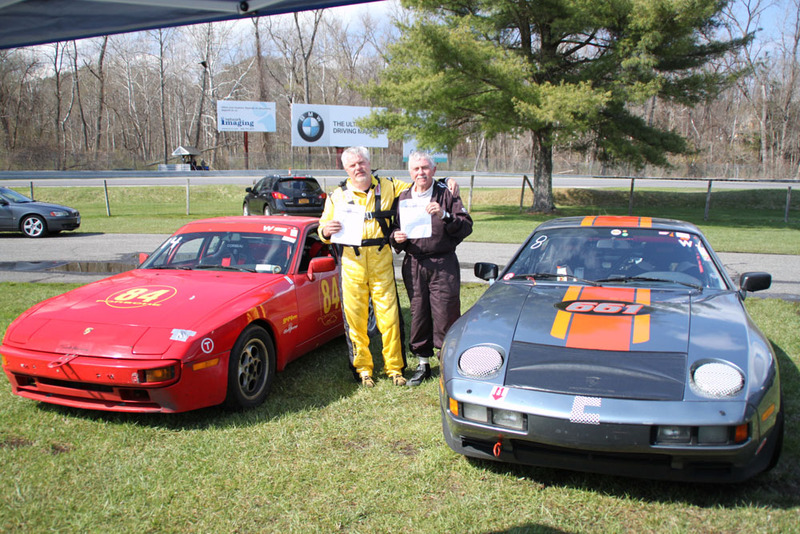 The PCA Club Racing Committee maintains the Club Racing Rule Book, determines the Licensing Procedures, and oversees all the planning of a Club Race. One or several Regions organize each Race, and have full financial responsibility for their Race. 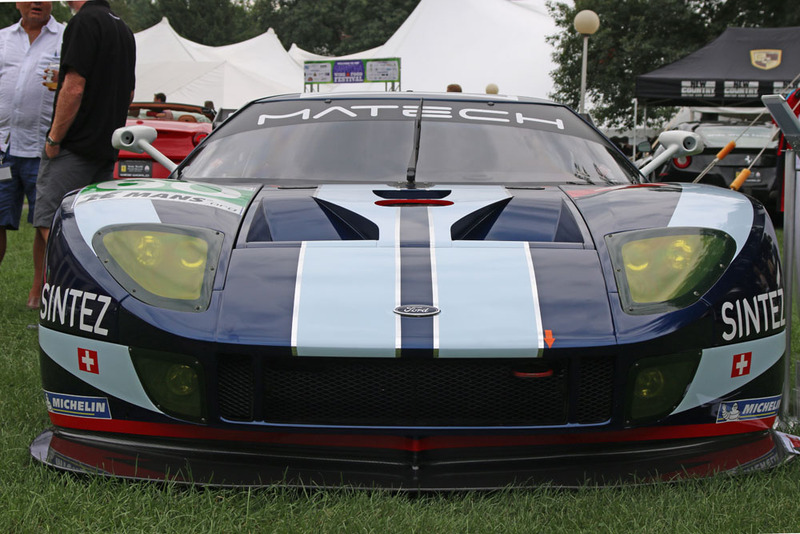 The PCA National Office provides administrative support and establishes and maintains all activities associated with the national licensing of Club Racers. Licensing questions should be directed to Susan Shire, Program Coordinator. Once you’re licensed, you’ll receive Club Racing’s official bimonthly publication, the Club Racing News. The National Committee also includes a group of Chief Stewards, Chief Scrutineers and National Time Techs. One, or more, of each group is assigned to each Club Race; the assigned individuals function as the chief operating officials for that Race. Club Racing is established around several guiding principles. First, there should be a class for all Porsche sports cars, whether stock or modified. Second, the racing is to be fun, safe, and clean. This principle is embodied in the strict enforcement of the ’13/13 Rule’, which provides for immediate sanctions against any driver at fault in any incident involving car damage. Third, the organization and operation of Club Races is to be uniform, so that any racer may attend any Club Race and know exactly what to expect. It is the combination of national rules, national licensing, the national committee, and the enthusiastic and dedicated host Region personnel that has allowed Club Racing to build a strong racing program while rigorously adhering to these principles. Further, it is the belief of the PCA Executive Council and all those involved with Club Racing that continued adherence to these principles is the basis for continuing success in the future. The continuing success of the program also lies with the tremendous support provided by the national sponsors who are owed a debt of gratitude. The Hudson Champlain Region has had the good fortune to have several national PCA Club Racing champions among its members in recent years. Currently, a number of club members continue to race in the program. If you’re looking to find your limits and the thrill and camaraderie that only Club Racing can provide, contact John H. Schafer, Chris Klapper or Kevin Palmer for more information. When autocross chair Chris Klapper arrived at the McCarty Ave. parking lot on a late summer morning he expected to set cones for the autocross course he had laid out in his mind. He didn’t expect thirty cars parked in the middle of the lot with their drivers off to parts unknown. What followed was a quick, think-on-your-feet redesign that produced a technical, twisting course that seriously challenged the twenty-two drivers who showed up for the event. Elapsed times tell the story of the course. Despite the horsepower and nimble handling of the cars on the line, the day’s best time was a good forty seconds slower than the fastest time recorded at the first autocross event in May and twenty seconds slower than the fastest time that would be recorded in October. A Subaru won the day with a run almost a second and a half quicker than the second place Boxster. Two 911’s and a 968 took the remainder of the top five spots. Other than the bizarre island of cars in the middle of the McCarty lot, the big news of the day is fact that over a quarter of the entrants were women drivers. Autocross is definitely not just a guy thing. Sixteen drivers registered to run in October on a course free from the frustrations of the September course that produced elapsed times of over two minutes. This time out, the spread between the fastest and slowest times was much narrower; although, the course held its challenges with no one clocking under a minute. Of the fifteen Porsches and the Mini that competed, Caymans made the strongest showing with day’s fastest time and another in the top five. Once again there was a strong contingent of women drivers. Horsepower met horsepower when, well-fueled after a breakfast at the Glenville Queen diner, club members, led by Chris and Linda Klapper, ran the rural roads of Saratoga County in their Porsches to visit the National Museum of Racing in Saratoga Springs. The museum chronicles the growth of U.S. horse racing, beginning with the first formal races in North America, staged in 1665 at the Newmarket race track on Long Island under the supervision of New York’s colonial governor. By 1890, three-hundred and fourteen race courses had sprung up across the United States, none more grand than the track at Saratoga, named by Sports Illustrated as one of the top ten sporting venues of the twentieth century. On a Saturday in mid-September, the museum held only the whispers of the thousands of racing fans who visited during a 2015 meet that drew over one million spectators to the track. Besides HCP club members, only one other couple wandered the museum’s halls which tell the story of racing from the early beginnings on Long Island to the recent appearance of American Pharaoh at the Travers. On display is a wealth of racing memorabilia and information ranging from trophies won by racing legends such as Seabiscuit and Kelso to exhibits on the anatomy of horses. A horse and rider in suspended animation explode from a mock-up of a starting gate and a pari-mutuel board flashes as an audio feed explains the board’s tale to the uninitiated. A riding simulator awaits those who think they have what it takes to ride- or who want to experience the thigh-burn of a jockey. The history of the Travers features prominently at the museum, no surprise considering the enthusiasm that surrounded this year’s race. The Saratoga track, the third oldest race track in the country [some say it’s the oldest], began operating a year after gambler, bare-knuckle boxing champion and future congressman John Morrisey organized the first flat track races in the Spa City, a month to the day after the Battle of Gettysburg. Enthusiasm for racing was high- only a year later, through the efforts of Morrisey, Cornelius Vanderbuilt and William Travers, the inaugural race was run at the newly completed Saratoga Race Course on August 4, 1864- the race eponymously named for Travers who served as the track’s first president. Although it’s referred to as the Summer Derby and carries a hefty purse [currently well over one-million dollars], only three Triple Crown winners appeared at the Travers before this summer when American Pharaoh entered the fray. It’s the Travers that’s given Saratoga its nickname, the “Graveyard of Champions” and once again the Travers buried the favorite when Keen Ice won the race by three-quarters of a length. Whirlaway is only Triple Crown winner to overcome the curse, winning in 1941. 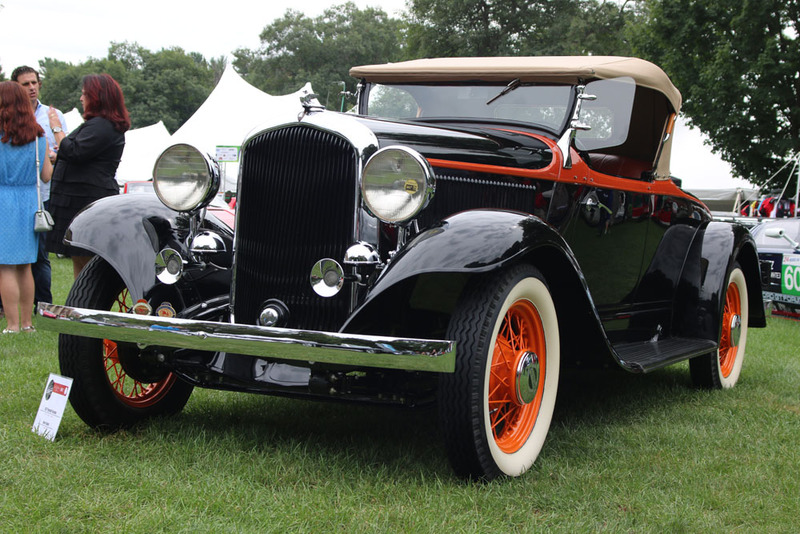 Schooled in the history and nuances of horse racing, a number of club members left the museum and made the short drive to the Performing Arts Center for the annual Saratoga Food and Wine Festival and Concours d’ Elegance which was sponsored by the Saratoga Auto Museum. Twenty seven restaurants and several score wineries and craft distilleries served food and drink. Festival goers lined up for offerings spanning the culinary range from grilled scallops served on risotto with arugula and sweet potato wafers to pulled pork sliders with Bar-B-Q sauce and a side of baked beans- all of which could be washed down with twenty-one year old scotch, craft-distilled bourbon, myriad red and white wines and even- water. The large crowd grazed, drank and wandered through a concours of automobiles that might have given anyone trying to use a calculator to determine their collective value a memory overflow message. 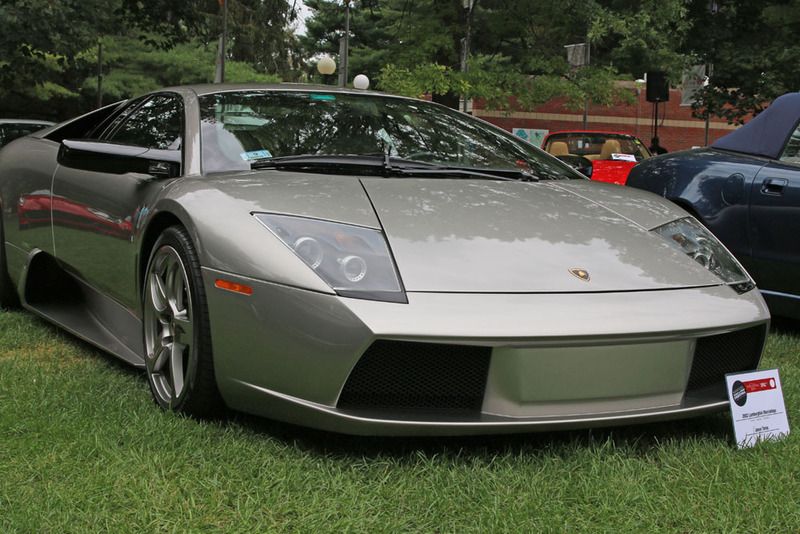 Check the photo gallery for a few of the cars on display- they ranged from American muscle to Italian exotic. Chris offers advice to drivers before they hit the course. If it were possible, autocross would be the perfect place for a Vulcan mind meld between human and machine. The car is important, make no mistake. High performance tires, the right suspension set-up, and a few hundred horses under the hood can make a real difference. But how to explain the quick times that drivers in 356’s can turn in with engines putting out as little as 75 HP? That’s where the mind comes in and for Chris, autocross is every bit as much about the mind as it is the car. Autocross is a Zen thing. Chris’ mantra: manage expectations and stay within yourself. Autocross is timed but don’t focus on the times of others- concentrate on your times against yourself. Chill out, Chris proclaims. Take your first runs slowly; travel at a speed that allows you to clearly see the course. Faster and faster speeds should be saved for later runs. Determine your entry and exit line for corners- feather your brakes and control your throttle to keep your speed constant through the turns. Once you’re in a corner you’re committed; there’s nothing more you can do. It’s time to look ahead to the next one. Course a little gnarly? Never hesitate to ask for an instructor- they’re always available. It’s good to keep Chris’ advice in mind as autocross courses are designed to test a car’s handling and a driver’s ability to make the car handle as it should. Each autocross course is a little different; even so, all courses share three features. When you’re on the line waiting to stomp on the accelerator, anticipate a slalom that challenges your car’s agility. Be ready for a high-speed turn that tests your tires’ grip. Prepare for quick tight turns that demand a good line, maintained with brake and throttle. If people are enjoying themselves and smiling at the end of the day, Chris knows he’s designed a good course. Four times a year Chris and a handful of volunteers drag a few hundred of the club’s orange cones out of their storage facility in East Greenbush to the McCarty Ave. parking lot in Albany to set courses for HCP’s autocross events. There’s down time chairing the autocross committee but when autocross season arrives the pace can become hectic. Once event dates are set with the club’s board, the use of the parking lot is negotiated with OGS. Arrangements for insurance are made with the national organization and a workforce is assembled. Timing equipment, a portable generator, a leaf blower, chalk, paper and all the sundry supplies needed to run the event must be in place when drivers arrive. When the drivers leave, it’s time to tear down and think about doing it again in another month or two. So why drive autocross? Easy -the fun factor is high and the cost is cheap. Subtract the cost of your car and you’re in it for only a few bucks for the day’s entry fee plus the cost of a helmet which is the one required piece of equipment. Deduct the cost of the helmet if you want to use one of the club’s loaners. Rather not borrow one? A good helmet can be had for a couple hundred dollars. Regardless of brand, the helmet must have a current Snell M [motorcycle] or SA [special applications] rating. SA helmets can be more expensive but offer a fireproof lining as additional protection for the driver. Snell rates helmets every five years; a helmet rated in 2010 may be used until 2020. Accordingly, Snell 2015 rated helmets will be useable through 2025. Helmet manufacturers were required to submit helmet designs for 2015 certification by the end of this past March. It’s about six months from that point to market so 2015 certified helmets should be available now. Open faced helmets are acceptable; but, Chris recommends choosing a full face helmet to preserve the natural beauty of your face- just in case. If the autocross bug bites, hie yourself to a Zone 1 event where longer and faster courses laid out on an airfield await. Some pretty serious drivers, with some very serious cars show up for these events but the basics still apply and the fun factor remains high. Abraham Lincoln, seated, right leg extended, gazes pensively across the reflecting pool of the National Mall in Washington, D.C. Nineteen feet tall, Lincoln’s statue was constructed from twenty-eight blocks of Georgian marble by the Piccarelli brothers working from a six foot tall model created by Daniel Chester French, one of America’s greatest and most prolific sculptors. French created the model at Chesterwood, his Stockbridge Mass. studio- today a National Trust Historic Site and the destination of August’s HCP-PCA drive and dine event. Minuteman statue in Concord Mass and the Statue of the Republic created for the 1893 Columbian exposition in Chicago. Although he had a New York City studio, French commissioned architect and friend Henry Bacon to design another for him on his farm. This became his primary workspace. Later, in 1901, French hired Bacon to design a Georgian-style home that replaced the original 1820 farmhouse on the property. The studio and house are surrounded by rolling fields, wooded paths and beautiful gardens. 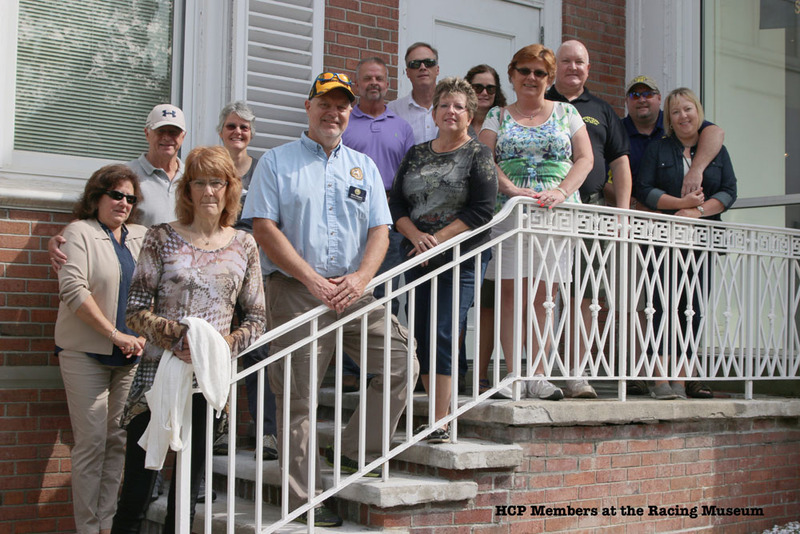 Led by a knowledgeable guide who has escorted dignitaries including former first lady Laura Bush, Club members walked Chesterwood’s grounds, viewed the house, and visited the studio where French created the model for the Lincoln memorial in 1920. The tour started in the Barn Gallery where a sculptural study of what was to become the Spirit of Life statue in Saratoga’s Congress Park is on display. Providing an interesting contrast to French’s work was a collection of twenty-four contemporary sculptures created by members of the Boston Scupltors Gallery. Spread throughout the grounds, the mixed-media works are on display until Columbus Day when Chesterwood closes for the season. The tour over, club members made a short drive to the venerable Red Lion Inn for lunch. A Stockbridge institution, the Inn has been in continuous operation for over two-hundred years. With its distinctive white columns and long open porch, the Red Lion does things the old-fashioned way- food arrived at the table protected by domed, metal covers. All in all, a great drive and dine- thanks to Donna and Tom who organized the event. Seventy-three people turned out for the August PCA-HCP meeting held at the Saratoga Automobile Museum- a record attendance that called for the ordering of additional food to feed club members who came to the museum to catch up on club business and to wander through the special “The British are Coming” exhibit that featured classic British cars and motorcycles from the likes of Jaguar, MG and BSA. Around six million years ago water began eroding the limestone deposited by an ancient sea, forming what is the largest scenic cavern in New York State. Only Niagara Falls attracts more tourists than this stunning cave in the Schoharie valley. Know to Native Americans, the cave was first explored by Lester Howe and his neighbor, Henry Wetsel in 1842. As the story goes, Howe discovered the cave thanks to his cows which were huddled at a hidden entrance to the caverns, enjoying the cool air that flowed from them- cavern temperatures are a constant 52 degrees Fahrenheit. Howe purchased the property, which was on Wetsel’s land, for $100 dollars and opened a hotel for tourists on the site in 1843. 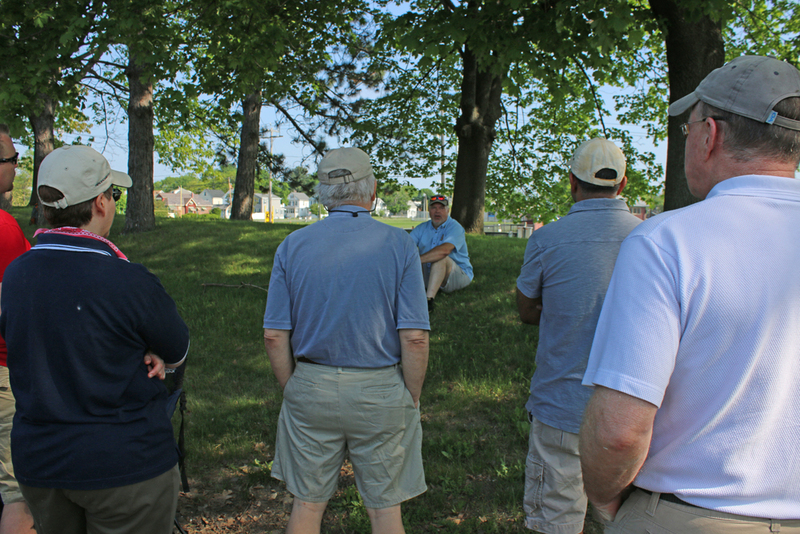 One hundred-seventy two years later, the Club visited the site this July. The lure of the Caverns produced one of the biggest monthly drive turnouts of the season. Leaving the Schenectady County Community College parking lot, the drive took advantage of the rural roads of Schenectady and Schoharie counties, extending the distance well beyond the thirty miles of the direct [and boring] route from college to the caverns. The group didn’t don caving gear for the hard-core two-hour adventure tour that turns tourists into spelunkers; still, club members spent an hour and a half, one hundred and fifty-six feet beneath the surface, awed by the stalactites [they point downward], stalagmites and other wonders of the cavern. Their caving experience was followed by a jaunt to the American Hotel in Sharon Springs for lunch. The hotel, originally built in 1847, sat dormant for years, reopening in 2001 after a five year restoration. Rachel Ray and the New York Times have extolled the virtues of the hotel which has received numerous accolades for its culinary excellence. The lunch menu offered classic American fare, nicely prepared, in an attractive, comfortable and relaxed setting- much to the satisfaction of Club members. 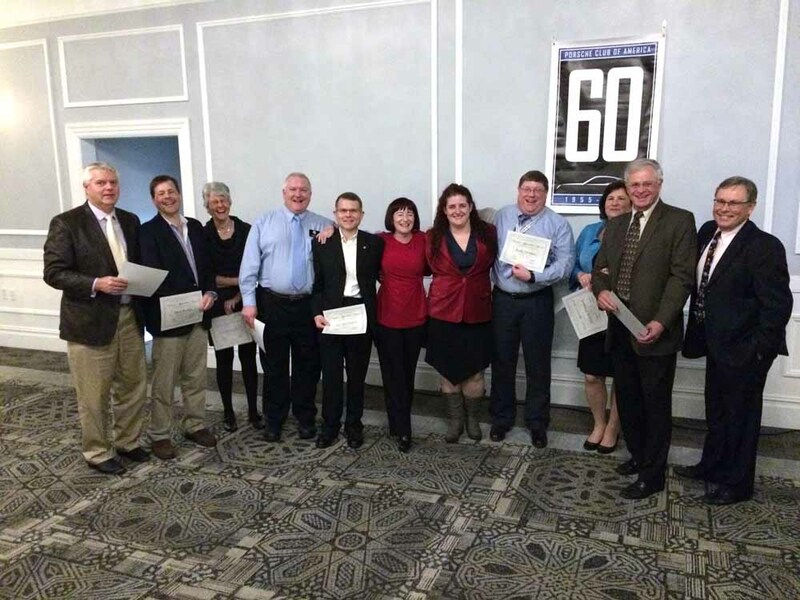 The Hudson Champlain Region of the PCA is committed to supporting charitable organizations in our communities. We enjoy the communities in which we drive our beautiful cars, and want to recognize and acknowledge those issues with which some of our neighbors struggle. 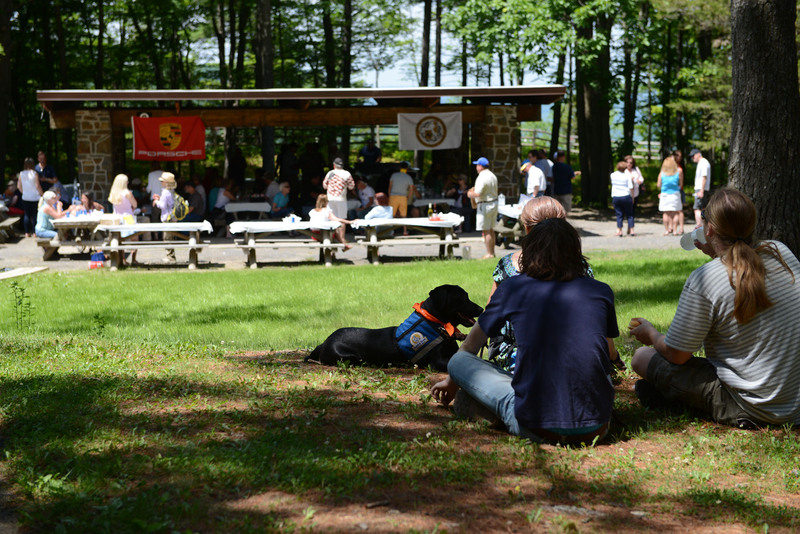 At this year’s picnic we raised approximately $1,350 for Guiding Eyes for the Blind and $1,000 for the Regional Food Bank of Northeastern NY in funds and goods. We choose the organizations based on the level of impact, in quality and quantity of services, on the lives of families and children in need. Given that, we lean toward organizations which serve communities in the counties that our Region encompasses (NY counties Albany, Clinton, Columbia, Essex, Franklin, Fulton, Greene, Montgomery, Rensselaer, Saratoga, Schenectady, Schoharie, Warren, Washington and MA, Berkshire County). The Board reviews the Club’s charitable giving and fund raising at the beginning of each year and formulates a plan for which charities the Club will support that year. In recent years our giving began with donating funds that the Club earns for garage rentals at our Cups & Saucers DE. Because of our activities in the Watkins Glen community, a donation was made this year and last to Catholic Charities of Chemung County. Our annual Picnic raises cash and food donations. This year we raised approximately $1,350 for Guiding Eyes for the Blind and approximately $1,000 for the Regional Food Bank of Northeastern NY in funds and goods. Coats for Kids has been a popular program in the fall that we plan to bring back again this year. Next we hold a live auction at our annual dinner in November. This year we will be raising money for the Northeastern Association for the Blind at Albany. We also have a tradition of collecting Toys-for-Tots at the December holiday party. In 2014 holiday partiers contributed more presents than ever and we hope to continue to grow the number attending the party and donating to this worthy cause. Finally, at the end of last year the Board voted to give a cash grant of $5,000 to the Automotive Program at Hudson Valley Community College. This large gift enabled the school to purchase a much needed wheel balancing machine for student learning and to grant a $500 scholarship to a worthy student. It is our hope to continue to make annual end of year grants to that or another worthy program as Club funds allow. We are proud of the generosity and efforts of our membership, which are organized by the charity chairpersons who over the years have worked hard to identify the not-for-profit organizations, organize events, and arrange for the collection and distribution of donated funds and goods. The views at Thatcher Park, while always beautiful, were even better the second weekend in June as over fifty Porsches lined up HCP’s annual concours and picnic. More than one-hundred members [an attendance record] turned out for the event, brought to the park by great weather, good food and the chance to hang out with other club members. The picnic also provided an opportunity for members to support two worthy charitable causes. Check out Sharifa Perry’s article, HCP Steps Up for Charity, for more on the club’s philanthropic work. Of course, Joplin drove and became famous for her Porsche, a 1965 356c. She paid $3500 for the white car that soon sported a psychedelic paint job courtesy of Dave Richards, one of her roadies. A focal point of Richards’ work- a portrait of Joplin and her band mates on the front left fender. 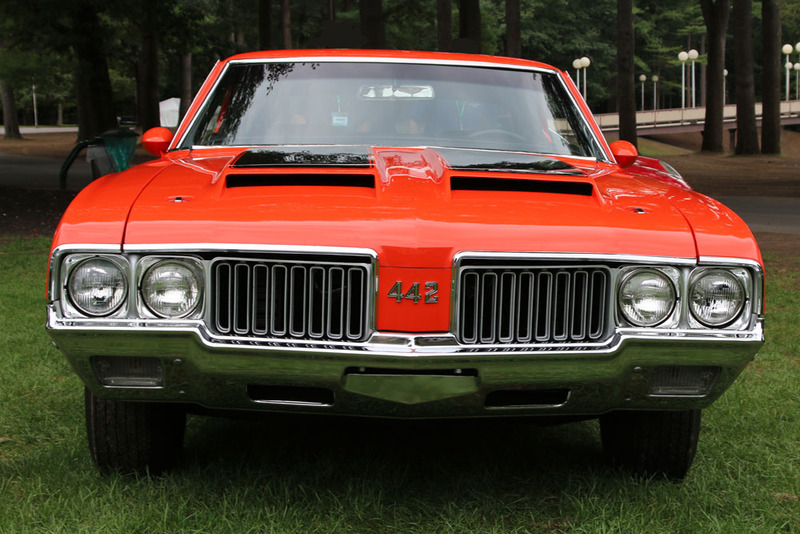 At one point the car was stolen and painted gray; fortunately it was recovered and the original finish restored. Joplin’s manager, Albert Grossman, inherited the car in 1970 after her death and kept it in Bearsville, NY until returning the car to the Joplins in 1973. While parts of the car have been restored, much is still original. The Denver Theatre Company’s paint shop repainted the car again in 1994, adhering as closely as possible to Richards’ original art work. The car is currently on display at the Rock and Roll Hall of Fame in Cleveland, Ohio. Two hundred and twelve orange cones. Three-tenths of a mile of asphalt. Twenty-six drivers and four instructors. 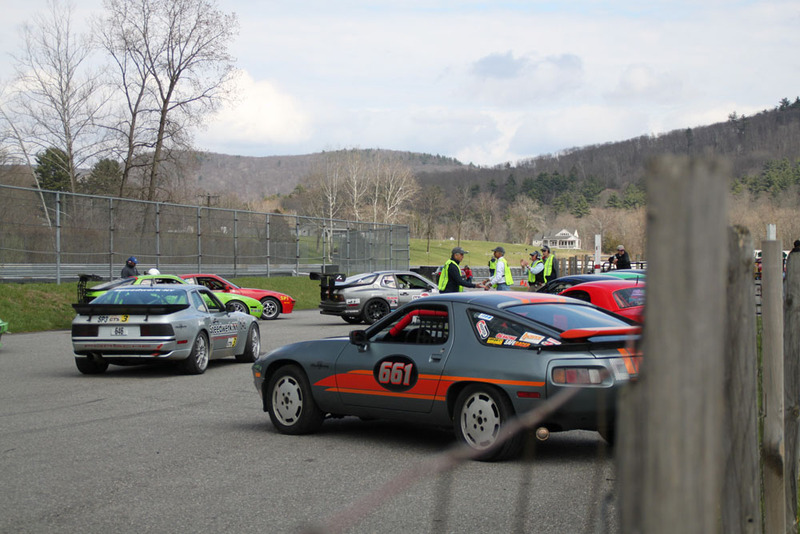 It was HCP’s first autocross event of the season- one that drew an unusually large number of drivers to the McCarty Ave. parking lot in Albany in mid-May to test their skills against a course laid out by autocross chair Chris Klapper. Many who threaded their way through the cones were newcomers to autocross, drawn by the club’s focus on beginners for this event. Wheels were torqued, mats removed, and trunks checked when Chris assembled new drivers for a bit of pre-event advice: Be smooth, if you’re jerking your wheel back and forth you’re doing something wrong. Anticipate your turns- if you’re turning when you’re on top of a cone, you’re turning too late. Most importantly- look ahead. Your car will follow your eyes. Important advice for a course that featured two slalom runs, a sweeping curve that neared 180 degrees, two straights that allowed drivers to get on their accelerators and a couple of tight turns that forced them onto their brakes. Most drivers quickly accelerated through first gear into second, steering their cars with throttle as much as wheel- another tip from the instructors who frequently rode with new drivers as they acclimated themselves to the sport. The morning was given to practice, two runs for newcomers, riding with instructors if they desired; the remainder of the morning was set aside for experienced drivers to learn the course. After a lunch break, the time clock was turned on and the serious driving began. While most drivers sat behind the wheel of Porsches, a 1994 1.8 litre Miata, a Fiesta XT, a Camaro Z/28 and a VW Cab turbo also lined up. A beautiful Porsche always gets a look; perhaps none drew more attention than Gregory Bidwell’s 1964 air-cooled 356. When asked about the experience of driving his 356 he smiled as he described the car’s great handling. Driving this car is “like driving a go-cart”, he said. The car certainly looked nimble on the track, posting some respectable times with Greg behind the wheel. . There were other skilled drivers with powerful machines who tested Klapper’s course; when the dust in the McCarty lot settled, the fastest men’s and women’s times of the day belonged to Will Waldron who clocked a tire squealing, exhaust growling :44.33 in his 968 and a smooth and fast :49 turned in by Linda Klapper in her Cayman S.
The threat of thunderstorms raking across the McCarty lot slightly suppressed the turn-out for July’s event. The storms never materialized and sixteen drivers who knew enough to ignore the weather forecast showed up on a warm and humid summer day to test their skills. Driver’s were able to get in eight runs on a course that ran a bit slower than the course in May. At the end of the day, the fifty second barrier had been broken fourteen times, the quickest lap a 46.656. It’s not your father’s beer. If you’re of an age, it’s definitely not the beer you drank in college. Today’s beer drinking landscape has changed greatly thanks to a proliferation of craft breweries that make a cornucopia of styles from ingredients as varied as crushed raspberries and chocolate hops- consider the dehydrated tangerine cacao wheat beer brewed at the Moody Tongue in Chicago. Troy based Brown’s Brewing Co. is a player in this craft beer explosion and it was to Brown’s that the PCA-HCP ventured on its May drive. Snaking out of the Walmart parking lot on Hoosick street in Brunswick, nine Porsches of varying breeds and vintages wound their way through the twisting back roads of Rensselaer County to Brown’s recently opened second taproom, set on the Walloomsac River in Hoosick Falls, NY. The taproom, an attractive blend of wood, brick and natural light from large, river facing windows is the culmination of an eight year remodeling of the nineteenth century mill that originally operated on the site. The club was at Brown’s for a brewery tour and lunch; while members waited for the tour to begin, Pearson Constantino, the brewery manager and tour leader stood behind a fifty-six foot long bar constructed of wood flooring taken from Mac Tools in Pownal, Vermont pouring ales, stouts and porters for the thirsty. The beer flowed from a tap that was originally part of an eighty year old bottling machine, an indication of the blend of tradition and modernity that greets the visitor. 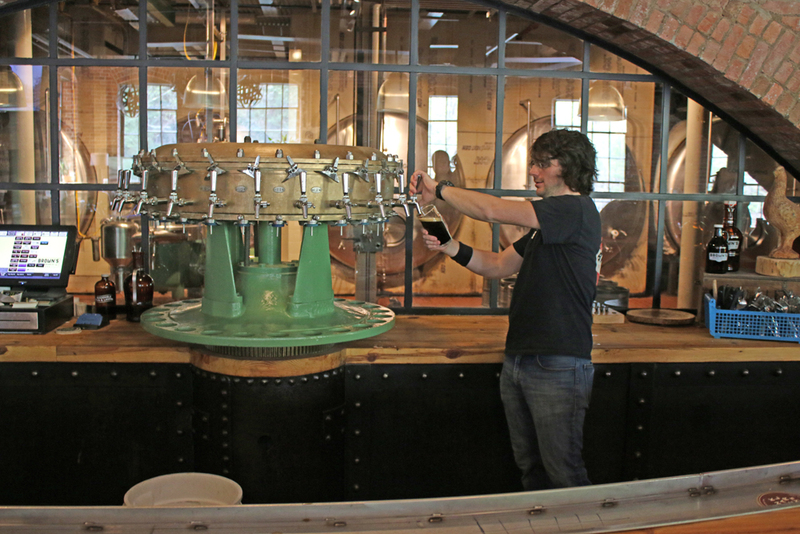 Brown’s brews up to ten thousand barrels of beer a year at its Walloomsac site; the tour gave the Club an up-close look at the process. Using a variety of malts and hops, including the classic Cascade, Peter Martin, Brown’s master brewer, creates recipes that have won Brown’s numerous awards including a Gold Medal from the Culinary Institute of America, gold and silver World Brew Cup awards and the 2008 Matthew Vassar Cup for the best brewery in the Hudson Valley. Beyond accolades for its beer, Brown’s has won recognition for its local awareness. The brewery harvests its own Hoosick Falls hops, supplementing them with hops purchased from local farmers. Brown’s also donates a portion of the sale of its Tomhannock Pilsner to the Rennselaer Landtrust whose mission is to protect the watersheds of Rennselaer County. Combined with water from the river [in Troy, Brown’s uses water from the Tomhannock Reservoir which gives its beers a slightly different taste], the ingredients chosen by Brewmaster Martin are mixed, spun, fermented, aged and finally bottled on a 1930’s vintage bottling machine that’s seen service in ten breweries. Constantino led club members through the innards of the brewery to see how craft beer is made and then stepped from his role as tour guide, ushering the group back to the tap room to enjoy offerings from the brewery’s menu. Driving home after lunch it was impossible not to reflect on a day of beautiful weather [Boxster drivers rejoice], fine food and beer, and some very good companionship. A thanks to Sue Corah for organizing the trip and to Louis Dahoda for planning a meandering route that included a photo-op at the Tomhannock. Perhaps a deeper thanks to Louis for his unerring sense of direction without which many of us would have been forever lost in the hinterlands of Rennselaer County. Starting at Stuyvesant Plaza on a sunny but crisp Sunday morning, close to twenty Porsches wound their way along some very entertaining roads to the Opus 40 sculpture park in Saugerties NY, the destination for April’s monthly drive. The park, a series of swirling ramps, terraces, walkways and pools set in an abandoned stone quarry was the life’s work of Harvey Fite, a founder of the fine arts department at Bard College. Fite, using techniques borrowed from the ancient Mayans, single-handedly cut millions of bluestones to create his great work which covers six and a half acres. Fite gave his life to the quarry and it eventually took his- he died at the age of 72 in an accidental fall onto the rocks. Opus 40 is open Thursday through Sunday on non-holiday weekends. The park also hosts special events which are listed on its website. HCP-PCA continued its tradition of charitable giving by starting the 2015 season with a $5000 cash grant to the automotive program at Hudson Valley Community College. The Club’s large gift enabled the school to purchase a much needed wheel balancing machine and grant a $500 scholarship to a worthy student. In the photo, HVCC president Andrew J. Matonak thanks HCP president Ken Blass who is joined by Board members Sharifa Perry, Karen Blass and Lydia Marlow and students from HVCC’s automotive program.